As announced at the BuildingSMART International Summit on October 30th 2017, the UK BIM Alliance, has merged with BuildingSMART UK & Ireland. The merger makes the Alliance the UK & Ireland branch of BuildingSMART, with the chair of the Alliance becoming the chair of the Chapter. The Frequently Asked Questions below, explain the reasons for and benefits of the merger, as well as the practical details of what is happening over the next 12 months. The merger agreement has taken just two months to develop and Martin Penney, Vice Chair of UKBIMA, who led the merger group, explained that the process went very smoothly. “The merger agreement, whilst a complex document, was developed quite quickly because the two parties have so many aligned values. We’re very pleased with the result and look forward to working more closely together,” he said. The FAQ also confirms that for the time being the Alliance will use a logo which combines its existing logo with that of BuildingSMART, pending a branding review in the coming year. 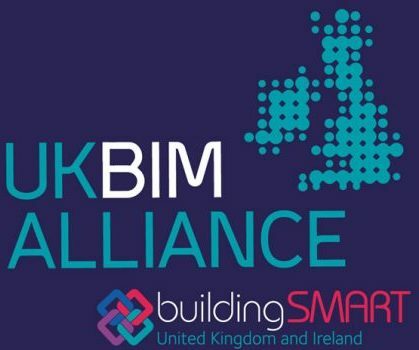 Who are the UK BIM Alliance and buildingSMART UK & Ireland? The UK BIM Alliance (UKBIMA) is the umbrella organisation formed by the Built Environment industry through its BIM4 groups and BIM Regions, to continue the implementation of BIM Level 2 and champion it as an international solution to digital standardisation across the built environment. In its manifesto the UKBIMA states “We will provide the network and infrastructure required to implement and maintain an open system for feedback and development of BIM Level 2 processes and standards.” The UKBIMA Mission is to facilitate and ensure the adoption and implementation of BIM Level 2 as business as usual by 2020. BuildingSMART is an international alliance of businesses and organisations whose aim is to improve the efficient delivery of built assets. Central to buildingSMART activities is the development of open data sharing standards (open BIM) that are essential if the AECO industry is to optimise the available tools and solutions at their disposal to efficiently deliver built assets. 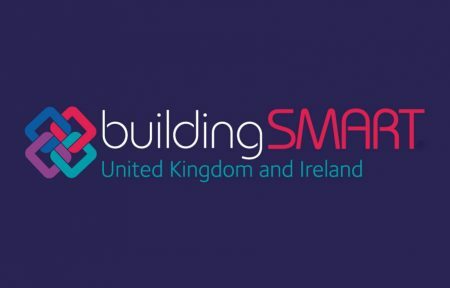 BuildingSMART UKI (bSUKI) is the local organisation – or Chapter – of buildingSMART, that organises the communications and inputs, for and from member organisations based in the United Kingdom and the Republic of Ireland. Why are the UK BIM Alliance and BuildingSMART UK & Ireland merging? As the home of open BIM Standards in the UK and Ireland, bSUKI needs to be closer to the community it serves. Merging with the Alliance, which represents that user community across industry, will help bSUKI become an integrated part of this community and support its improved communications. By becoming the UK and Ireland chapter of buildingSMART, the UK BIM alliance will support the furtherance of open standards. Working with Building Smart will enable the Alliance to continue its objective to be both ‘Relevant Today and Futureproof for Tomorrow’, assisting in BIM Level 2 adoption whilst looking to the future. What are the benefits of the Merger? Enabling those involved in bSUKI to remain involved and receive further support from across industry. What are the key dates for the Merger? The merger plans were announced at the buildingSMART International Summit on October 30th 2017. The merger agreement was developed by a team from both organisations during November and December and signed by both parties on 22nd December 2017. The official date of merger is 1st January 2018. Practical elements of the merger will take place during early 2018 and the agreement and mission statement shall be reviewed in March 2018. By November 2018 all incumbent bSUKI members will be re-enrolled into the merged organisation. What will the merged organisation be called? During the transition period of 2018, the merged organisation will be called the UK BIM Alliance (where required, followed by ‘The UK & Ireland chapter of buildingSMART. During this period, the Alliance will use the combined UKBIMA and bSUKI logos. A branding review will follow once the two identities have had an opportunity to settle in the coming year. Who will chair the UK and Ireland branch of BuildingSMART? The chair of UKBIMA will also be the chair of bSUKI. At present this is Anne Kemp. The chapter will also have a Vice Chair who will run an ‘international’ project as part of the UKBIMA Projects Stream. The current Vice Chair of bSUKI is Nick Nisbet. What will happen to the bSUKI Brand? Will it be diluted? Through the merger, the UKI chapter is adopting a very similar model to most buildingSMART chapters around the world, being more closely engaged with the community which the Alliance represents. There won’t be any dilution of the buildingSMART brand, indeed it is envisaged that the merger will improve the dissemination of the buildingSMART brand message. As part of the negotiations the team has been working with buildingSMART International, who are very supportive of the merger, to ensure that brand guidelines are met and the merged organisation can continue to fulfil the chapter requirements. Will the Alliance objective of “BIM Level 2 Business as Usual by 2020” change? No. UKBIMA’s current objective is “BIM Level 2 Business as Usual until 2020 and beyond” but it further aims to be Relevant Today and Futureproof for Tomorrow – talking to industry in a language it understands. BIM Level 2 is a vital step to longer term digital transformation – which ultimately should safeguard our economy, our society and our environment. Working more closely with buildingSMART will assist in this objective. How is this related to Digital Built Britain? Digital Built Britain is a research programme born out and focusing on the Government agenda, UKBIMA’s aim is to embrace, support and communicate with the whole of industry, and bSUKI aims to develop open BIM Standards for that industry. The organisations already work closely together to further the common objective of digitally enabling our industry, and this will continue. What will happen to the International Work of bSUKI? As a chapter of buildingSMART International (bsI), bSIUK engages and supports bSI at an international level in developing open standards and has an obligation to engage with communities to promote requirements in developing these standards. The merger allows communities formed under the Alliance to be leveraged by bSUKI to much greater effect, allowing the UK community to have more effective input into international standards development. This work will continue, via a UKBIMA project nominally called ‘international’. The chapter will continue to send two representatives (usually the Chair and Vice Chair of the chapter) to bsI for voting purposes, and will participate in conferences and events as before. The Alliance doesn’t cover Ireland but bSUKI does. How will this be handled? The Alliance is keen to be involved with Ireland, already has ties through the Regions, BIM4Communities and CITa, which it intends to further develop to ensure that going forward as a chapter, we are serving the whole of the community. Will bSUKI still be inclusive, independent and accountable? Absolutely. As a larger organisation, the Alliance will be more representative of the wider industry and as both organisations are independent, independence will continue. The UKBIMA has a Strategic Advisory Board to which the Executive is accountable. The Strategic Advisory Board is drawn from a Signatories Group of senior industry representatives and influencers who have agreed to support the aims and objectives of the UKBIMA and formalised this through the signing of the Alliance manifesto. The Strategic Advisory Board provide an independent and broad perspective view of Alliance plans and activities and offer counsel and support to the Alliance Executive Team. Will the Alliance develop competing standards? No. The merged organisation will continue to use the agreed national and international mechanisms for the development of standards. Many members of these organisations are the same and/or are well connected with the standards community. BuildingSMART International has a representative on the UKBIMA Strategic Advisory Group and bSUKI has representation on several buildingSMART International committees. Will Open Standards work be affected? No. BuildingSMART is the home of open BIM standards and this work will continue. Will the BuildingSMART International certification schemes (software and individual training) continue? Yes. Existing certification training is continuing. The local chapter will be able to add local elements to the syllabus. What will happen to the buildingSMART UKI Rooms? The bSUKI Rooms have two roles – a functional one and an outreach and communications one. As part of the merger the function of the bSUKI Rooms will be transitioned and absorbed into the UKBIMA Projects stream. The outreach and communication role will be transitioned and absorbed into the duties of the UKBIMA Engagement stream. In this way the Rooms will not only benefit from the structure and function of the Alliance but the work of the Rooms will all remain and be built upon. How will the merger affect Software Vendors? The merger will have significant benefits for Software Vendors. Getting bSUKI better integrated with the user community will both increase support from buildingSMART International and facilitate the better implementation of bSUKI work by improving support and management for project delivery from the community. BuildingSMART UK & Ireland will have greater agility and more opportunity to support the needs of Software Vendors and their customers. I’m a member of bSUKI – will I have to pay again? Supporting financially the work of the merged organisation, including the work as UK Chapter of buildingSMART International. Through the Alliance’s Patrons scheme, patrons can provide financial and other in-kind support to the Alliance, including to the work of bSUKI, to ensure a sustainable organisation. Meanwhile everyone who embraces the values of the Alliance and wishes to advocate its work, will be free to continue to participate at no charge, including in the work that currently falls under the bSUKI chapter. From January 2018, there will be transition period for bSUKI members. During this transition period, when corporate memberships of bSUKI fall due, these will be transferred to the UKBIMA Patrons programme. Small to Medium SME’s (with a published annual turnover of less than £2m) will qualify for a new patronage level set at £750. The merged organisation will not be a membership organisation, but instead free to associate and participate, with the option of providing financial and other support in kind through the Alliance’s Patrons scheme. There is a transition process for existing bSUKI Members (see above). I’m a member of bSUKI. What will happen to my personal information? As part of the merging of the organisations, the mailing lists of bSUKI will be merged into the UKBIMA mailing list. This process will take place in accordance with current Data Protection Regulations so that each person concerned will be contacted and given the opportunity to opt out of information transfer. If you have a specific concern about personal data please contact us at info@ukbimalliance.org. What about the buildingSMART UK & Ireland Website? As part of our communications strategy, a strategy is being developed for the websites, domain names and social media accounts of both organisations in order to protect the digital assets (including the branded accounts) of both organisations. The team recognises the importance of ensuring continuity of online assets.